Until recently Cuba was one of the sport's undisputed powerhouses with an impressive history of success in international competitions, however after a number of the national team defected in 2001, the team has had to fast track some of its next generation players - very young but already impressive - into the national side. Cuba's best World Championship appearance came in Brazil in 1990 where they claimed the silver medal, while at two World Championships in Italy (1978) and Japan (1998) Cuba won the bronze. At Olympic tournaments, Cuba's best results have been the bronze medal at the 1976 Montreal Olympics and a fourth place in Barcelona (1992). However, the showing of the youthful team at the 2002 World Championship in Argentina was less impressive, with Cuba scoring a disappointing 19th position and catching an early flight home after first round elimination. 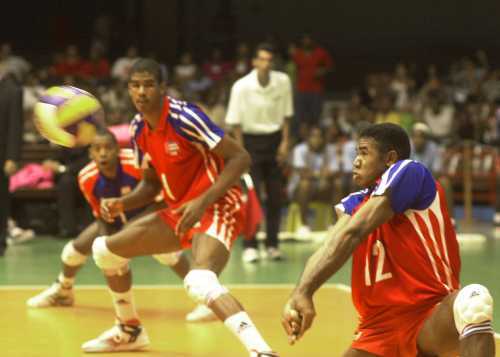 The World League was another successful story for Cuba which has participated in all editions of this elite competition but the first in 1990. Cuba shares honors as one of the most successful teams in the World League, winning the title in 1998, taking second place on five occasions as well as one third-place. 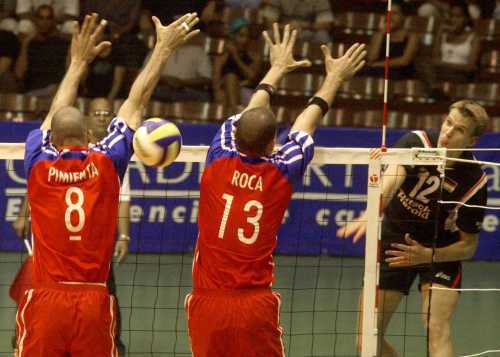 But last year the young and inexperienced Cuban team couldn’t better the 13th place finish also attained in 2002. This year, Cuba claims to be well prepared and motivated, ready to return to the club of the elite. The Cuban boys, certainly still among the youngest players contesting the World League, are presently in 18th place on the FIVB world ranking. They will play Italy, China and Serbia & Montenegro in Pool C.